Gain. I could bore you with a lot of scientific talk about what gain really is, but let’s get right down to the bottom of it. 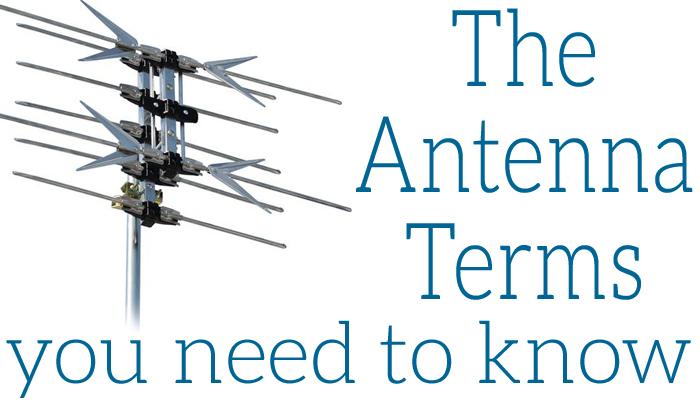 Gain is a measure of how well an antenna performs. It’s measured in comparison to a hypothetical reference antenna in the same location. The more gain you get, the better you should expect an antenna to perform. There is a bit more to it, however. First of all you should know that gain is measured in decibels or dB, and that dB’s are a general purpose way of measuring how intense something is, relative to something else. But that’s not incredibly important. What is important is that gain also varies by frequency. An antenna may have 12dB gain in the UHF frequencies and only 2 dB gain (or even a 1 dB loss) in the VHF frequencies. That sort of antenna would not do well if you needed to pick up VHF frequencies. If you really need heavy duty information, gain “plots” are available for most antennas on their product pages at SolidSignal.com. It’s also important to separate the gain of the antenna from the gain of an amplifier attached to it. The actual antenna has a gain characteristic (that’s what they call it) that describes the actual increase in signal. Generally more gain comes from having a larger antenna, from a design that’s more efficient, or from better manufacturing. Amplifiers add gain to the signal they have but they can’t actually bring in any more signal. An amplified antenna may have a net gain of 30dB but much of that comes from the amplifier, not from actually pulling in more signal. That’s an important distinction, especially with digital signals. Digital signals are either “there” or they’re not, and so if the antenna isn’t picking them up, no amount of amplification is going to help. An amplifier can be useful in fringe situations where the signal is there but is too weak not to be overwhelmed by noise when it travels down the cable. If you’re ever in doubt, pick the unamplified antenna with the most gain and add an amplifier if you think you need it.